Welcome to our site, we want to give you the opportunity to keep in touch with our company and all of our services. 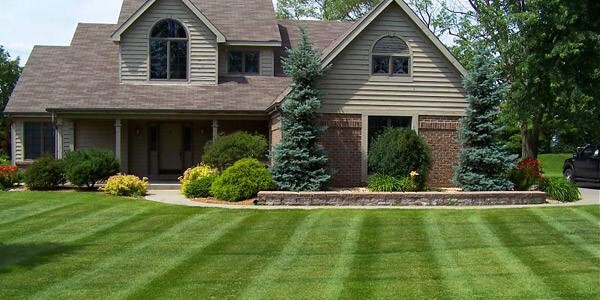 Cincinnati LawnMasters LLC is a locally owned lawn and landscape service company serving greater Cincinnati and Hamilton Ohio areas. We provide exceptional landscaping services to a wide range of commercial and residential properties for over 15 years, including large commercial buildings, retirement communities, shopping malls and apartments. We offer a complete landscape maintenance program from mowing services and weed control to landscape installation. It is our goal to deliver the highest quality combined with outstanding customer service. The experts at Cincinnati LawnMasters LLC take pride in providing quality landscaping and snow removal services. In consideration of your eight years of good and friendly service, we are pleased to accept and renew your grounds maintenance contract for 2008. On behalf of Midwest filtration Company and of course Mrs. Chua, thank you for your many years of dedicated service and look forward to many more. Cottage 50 at Westminster wanted to let you know what a wonderful job you have done with the snow and are grateful to have you as our lawn care company. I just wanted to let you know how many compliments I have gotten since Cincinnati LawnMasters has taken over the account. The residents are really happy at the job you and your crew has done for us and how professional everyone has been. Cincinnati LawnMasters has always been right on the spot when I have needed their services and have always done above and beyond what their job required I hope to work with you again in the future. As I’m sure you remember one week ago, on Friday the 14th, Valentine’s Day, we were under a major winter storm advisory. Snow fall was expected to be in the 4 to 6 inch range, and we were all cautioned not to drive unless it was an emergency. As it turned out they were right and we had at least 5 inches of snow. As the snow started to let up, about 11:00 pm, we heard the first snow plow on Silver Maple Way. Needless we were impressed. About 30 minutes later I heard what sounded like a leaf blower outside. When I looked out all I could see was what looked like a military operation with groups of people working their way down the street clearing driveways and walkways with blowers and shovels. Our lawn care service , lead by Sheri and Doug, did an outstanding job of clearing streets, driveways, walkways and parking lots here at Maple Knoll. We had some things to do Saturday morning and based on what we saw when we woke up we decided to go ahead with our plans. Major roads in the area, while passable, did not measure up to what we had here, many parking lots were virtually impossible to enter. As you know we moved here in October, and we have been impressed with this company and the way they care for the community. They were helpful to us as we made selections for the landscaping, and now faced with the second largest snowfall in history this year they have had a very busy winter. I wanted to comment on this for the record, and ask that you forward this to Cincinnati Lawn Masters so their management is aware how their work is valued by people who live here at Maple Knoll.